For a limited time at participating locations, Jack in the Box serves up new Teriyaki Steak Bowls. 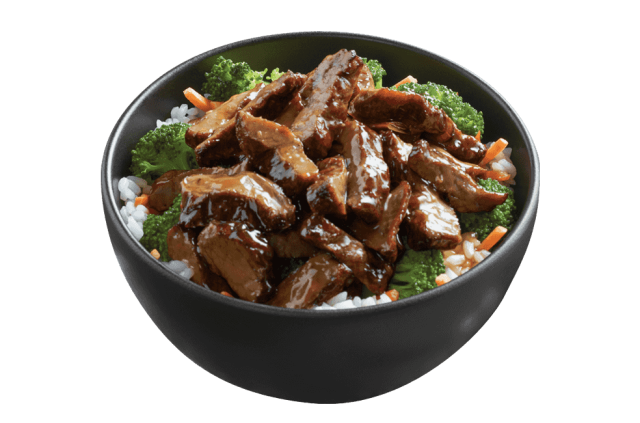 The new bowl features sliced steak covered in teriyaki sauce and served along with vegetables (broccoli and carrots) over a choice of white or brown rice. The regular menu Teriyaki Chicken Bowl now includes 40% more chicken and gives you a choice of white or brown rice.